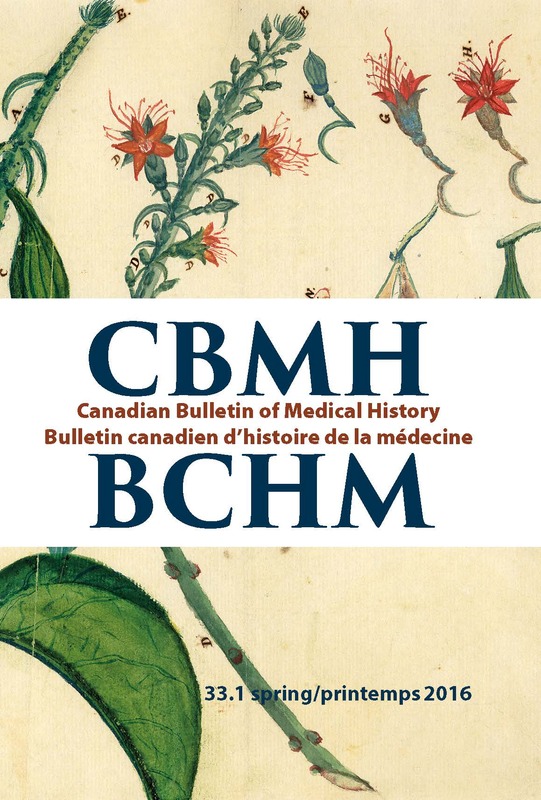 The Spring 2016 issue of the Canadian Bulletin of the History of Medicine/Bulletin canadien d’histoire de la médecine, now under the editorship of Erika Dyck and Kenton Kroker, includes a number of articles that will be of interest to AHP readers. These articles address the concept of degeneration in Quebec, eugenics and the 1917 Ontario Royal Commission on the Care and Control of the Mentally Defective and Feeble-Minded, the notion of “Early Psychosis,” and shell shock as a concern in Oxford during World War One. Full titles, authors, and abstracts follow below. La présente étude se penche sur les rapports entre la psychiatrie, la culture et la pensée sociopolitique au Québec. Notre approche s’inspire des travaux de Mark Micale sur le concept d’hystérie en France. Dans The Mind of Modernism, Micale démontre l’omniprésence de l’hystérie dans l’imaginaire collectif français au tournant du siècle. Notre objectif est de déterminer si un concept psychiatrique a pu jouer un rôle semblable au Québec à la même période. Nous démontrons que le concept de dégénérescence a pénétré la nosographie officielle, les publications médicales, les revues, la fiction ainsi que les discours sociopolitiques québécois. In The Mind of Modernism, Mark Micale demonstrates the ubiquity of the concept of hysteria in the French imagination at the turn of the century. Taking this approach as our starting point, our study attempts to determine if the notion of degeneration played a similar role in the interactions of psychiatry, culture and politics in Quebec. Our analysis of a variety of historical sources demonstrates that the concept of degeneration did indeed penetrate aspects of psychiatric nosology, medical literature, news media, fiction, and political discourse in Quebec.